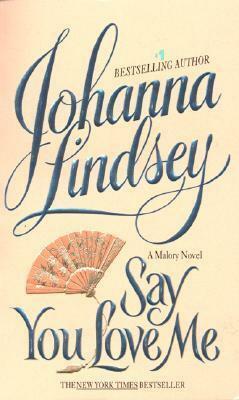 Romance Large Print Edition * A Doubleday Book Club Main Selection With over 46 million copies of her books in print in 12 languages, Johanna Lindsey is one of the world s best-loved authors. Now she transports her reader to Regency England into the lives of the lusty Malory family. Kelsey Langton, left penniless by her parents death, has allowed herself to be sold at auction, sacrificing her own honor to save her younger sister s. Lord Derek Malory is the high bidder for the intended mistress. But he could never have imagined that the woman he so frivolously acquired would be blessed with wit, grace, and intelligence as well as beauty. And he surely never expected to fall in love. "A memorable wonderful read that bring us laughter and joy . . .Magic!" -- "Romantic Times"